As WorldTeach volunteers, you understand that education is a global issue. Classrooms are overcrowded, or countries lack funding to hire teachers. The world needs wider access to education, and more compassionate, global citizens. We know you have a passion! So… if you sense that the world is changing at an increasingly quickening pace… if you have noticed that the way you communicate, find information, shop, learn, and work has changed in the last few years… if you have you reshaped your practices as an educator in response to these changes… and if you are wondering what this means for how the school or education system itself may need to be reshaped… You’ve come to the right place! We want to explore these issues with you. Educating in such a world can be quite overwhelming. “What will be important for your students to know, value and be able to do in a future that’s hard to visualize?” This question underpins our 4-week journey through this online course, which will bring together educational leaders, pioneers, and practitioners from around the world. To apply to this online course, please fill out our online application. The course is an online course, including: videos, lectures, articles and forums for discussions. Please visit our Frequently Asked Questions section for more information. In our fast-changing world, what new challenges are learners and teachers facing? What knowledge, values and skills will be critical for the success of our learners? How can we increase the well-being of our learners in a culture of over-achievement? Given our globalizing world, what does it mean to be a ‘global citizen’ and contribute to building a more sustainable, just and equitable world? In response to these new challenges, how can we help develop innovate mindsets, both for ourselves and our learners, using the breakthrough approaches of design thinking? Be ready to respond creatively and proactively to the challenges and opportunities of today’s world. While often offered as an open-enrollment course, the November Educating in Changing Times course will be offered exclusively to WorldTeach volunteers and alumni. You’ll form new relationships with others who are facing or have faced the same challenges, and who share an important passion for improving education worldwide. 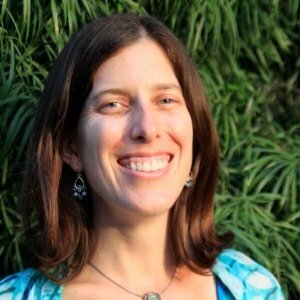 Stephanie Knox Cubbon, is a peace education professional based in San Diego, California, where she teaches courses on peace, nonviolence, justice, sustainability, human rights, and service learning at San Diego City College and Chapman University. In addition to her classroom teaching, she serves as the Director of Education for the Metta Center for Nonviolence and as the Peace Education Program Coordinator at Teachers Without Borders (TWB). She earned her Master of Arts in Peace Education from the United Nations-mandated University for Peace in Costa Rica, and her Bachelor of Arts in Environment and Development from McGill University in Montreal. Course created by: Mohit Mukherjee, Founder and Director of the Centre for Executive Education, anchors the course. In his previous position, he served as Education Program Manager of the Earth Charter Initiative, a movement advancing an internationally agreed-upon framework for a more just, sustainable, and equitable world. Since then he has led over 40 seminars in seven countries on themes ranging from ‘Entrepreneurship, Innovation and Social Change’ to ‘Beyond Traditional Leadership’, and inspired the development of innovative education projects by his course participants. $350 tuition rate — a special 30% discount off of the regular course price is applied to all WorldTeach volunteers and alumni signing up for the customized course! A United Nations mandated University for Peace Centre for Executive Education certificate will be awarded upon completion of the course. After this course, you’ll have tools to better articulate your role in your classroom and in international education, to include sustainable practices in your classroom and life work, and to apply design thinking to your teaching context. Each of these skills can help increase your impact during your year of service through intentional action, and each is a skill you can translate into your future endeavors. Not sure you’re ready to apply? Interested in staying connected with the UPEACE Centre for Executive Education? Receive free e-newsletters, updates, videos, sample readings and materials by joining the Centre’s email list (click here) or liking our Facebook page at UPEACECentre. You may also contact us at centre@upeace.org.